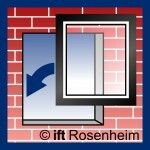 The German Energy Savings Regulation (EnEV) and its increasing requirements for the durability of the safe load transfer and the air tightness of building connections are challenging both architects and window fitters. Conventional installation methods reach their limits, as windows are not only becoming increasingly heavy, they are also moving further and further outwards. Extending the innovative range of INNOPERFORM® products, JUSTA® not only meets the increasingly difficult requirements of window fitting, but even facilitates it and furthermore, provides the necessary safety with regard to the EnEV requirements. The window fixing tie JUSTA® BA and the bearer plate JUSTA® TT ensures a lasting load transfer of increasingly heavy windows and a perfect window sealing. Using the ratcheting JUSTA® installation wrench allows an easy adjustment of the window (demonstrated in the short film about installation of JUSTA® TT or JUSTA® BA). JUSTA® ensures the durability of the safe load transfer in the way, that support pads can completely set aside. 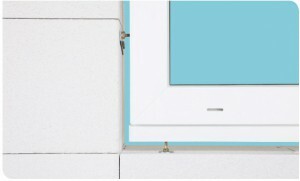 Due to the fixed connection of the load-bearing component with the window, a time-delayed sagging of windows because of displaced or inadvertently removed support pads can be excluded. 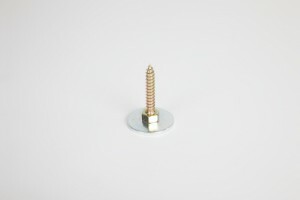 The bearer plate JUSTA® TT is generally used for the lower load transfer. The air and rain tightness of the building joint is also a particularly important aspect of EnEV. For this reason, modern multi-functional tapes are frequently used for sealing. 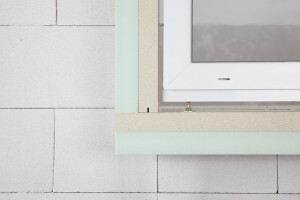 Whereas, conventional installation techniques often result in a sealing problem at the fastening points, JUSTA® ensures the functionality of the joint seal due to its flat design, which makes it possible that multi-functional sealing tapes can even be arranged circumferential around the window, i.e. also below. This not only saves valuable installation time, but also leads to a consistently high-quality solution for the customer. The air- and water-tightness up to 600 Pa has been certified for this fastening and sealing system by the ift Rosenheim according to ift-directive MO-01/1, section 5 (test report 105 34510/3 of 26.03.2008).